More details of the day’s line up to follow. Dave Lewis & Julian Walker – April 9,2019. Many of Jimmy Page’s most iconic guitars are now displayed in a new museum exhibition at the Metropolitan Museum of Art in New York – and Page has been recorded playing several Led Zeppelin songs in a video for the exhibition. You can see our feature on the exhibition with plenty of photographs here. And here’s our story on the public unveiling of Page’s “Black Beauty” guitar, which was stolen in 1970 but returned to him in 2015. The exhibition opens to the public on April 8, before moving to the Rock & Roll Hall of Fame in November. Jimmy Page has lost his planning battle with his neighbour Sir Harvey McGrath over Sir Harvey’s plan to install air conditioning units in his home. Page wrote in a letter to his local council that the units would interfere with his “sound workshop.” The feud with Page’s other neighbour, Robbie Williams, continues. Alison Krauss talked about working with Robert Plant in a new interview. “Robert is just so much fun, just silly and so sweet. He is such a great personality and person, and I had a lot of fun doing all that stuff with him,” she told the Grammy Awards. Click here for the full interview. 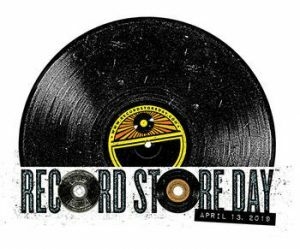 This Saturday is Record Store Day – the day when record shops throughout the world open to sell the breadth of limited edition product that has been lined up by the record companies. 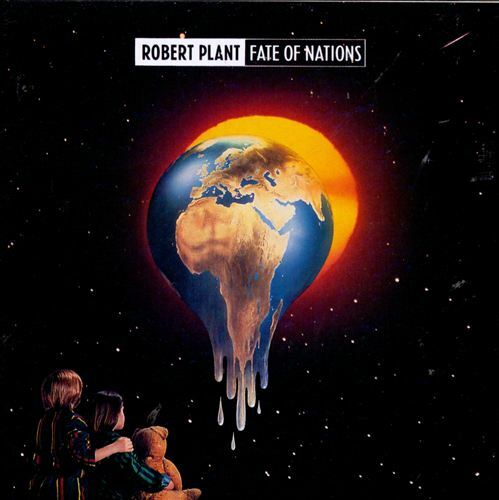 This year’s major Led Zep related item is a reissue of Robert Plant’s 1993 album Fate Of Nations. This special limited edition 180gm black vinyl of Fate of Nations is being re-issued on Robert Plant’s own record label Es Paranza around Earth Day. 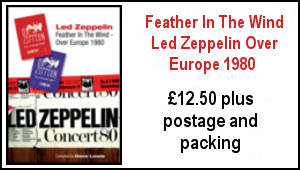 All profits from the sale of this record will be given to Robert Plant’s nominated Environmental charity. 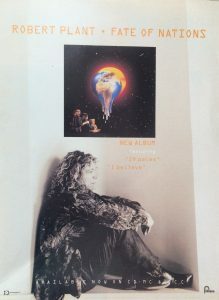 The album title and the artwork of the original 1993 is focussed on the impacts of geo-politics and globalisation on the earth / Robert’s environmental concerns. The outer sleeve will be high end matt soft pack, whilst the inner sleeve will be printed on ethically sourced material and feature updated artwork (Environmental facts from 1993 compared to today’s data. )This album has not been available on vinyl for 30 years (since the 90’s). Here’s the full Record Store Day listing. 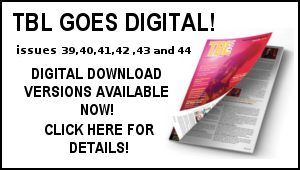 To mark the Record Store Day reissue and the 26th anniversary of its original release, here’s some TBL archive Fate Of Nations musings – more very passionate and enthusiastic text from yours truly that first appeared in TBL issues 8 and 9. This is my review of the Fate Of Nations album and a tour overview. The Fate Of Nations album provided the soundtrack to that summer of 1993 – all of 26 years ago. I am very much looking forward to hopefully obtaining this Record Store Day new pressing. 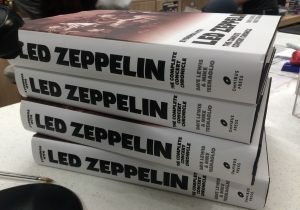 The ‘Stairway To Heaven: Led Zeppelin Masters’ is underway and I have already heard some very good reports. 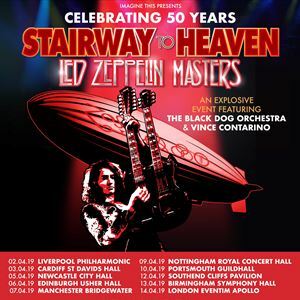 They play Portsmouth Guildhall on Wednesday, Southend Cliffs Pavilion on Friday ,Birmingham Symphony Hall on Saturday and the tour concludes with a London date at the Hammersmith Eventim Apollo on Sunday April 14. I am look forward to catching the Hammersmith date and look forward to seeing all that can make it along. A surprisingly good write up by Robert Hilburn on the April 1 date in Dallas which actually appears to have been printed (!) in the Los Angeles Times (April 5, 1977), with some great post-gig quotes by Plant. Some of the reviews in the early dates fairly pointed out some of the sloppiness which was transpiring onstage. Interesting info that the April 7 show in Chicago had to be cut short due to a playoff hockey game which was being played in the arena the following evening, first time I recall hearing that. Not much said about April 10, featuring Jimmy’s rather dubious choice of stage apparel on the evening… but the show was a corker! 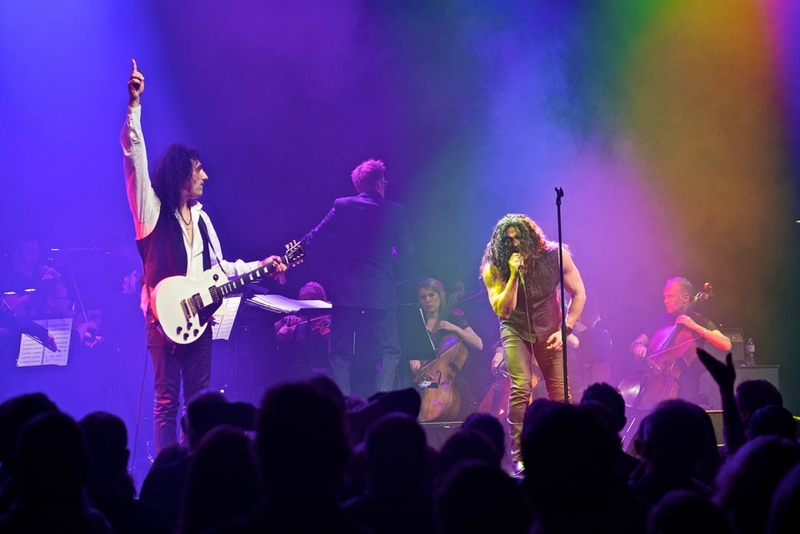 Ron Davis of The Mac Weekly reviewed the St. Paul gig on April 13, and dubbed Page’s solo spot “Solo Piece for Guitar, Violin Bow and Lasers”. Nicely done! This entry also includes 3 cool press photos from the gig. There’s a nice selection of color snaps from St. Louis, April 15 on pg 495, and two cool fan snaps from inside the arena on pg 496. The interior of the arena was apparently a steam bath on the night. Some good press reports from this show. As to the show in Indianapolis on April 17, reviewer Zach Dunkin of the Indianapolis News gives an excellent description of what it was like to watch “Bozo’s” (the newspaper’s typo) drum extravaganza in person. Simply spectacular! Excellent observations by Chris Clegg of the Miami Student on pg. 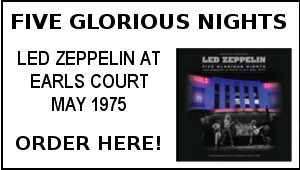 498 which detail what transpired with the limited entrance access at Riverfront Coliseum in Cincinnati prior to the Zep show on April 19. Of course it’s the awful precursor to the same practices which contributed to the horrible disaster there at a concert by The Who some two years later in which 11 died and 26 were injured. Nice selection of photos from the Louisville April 25 entry. Interestingly, reviewers in a couple of different earlier gigs on the tour noted Black Dog as an encore. 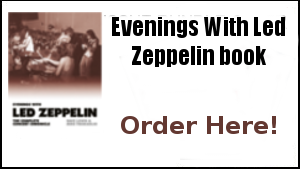 The entry for Birmingham May 18 is small, but the gig was not, and the surviving fan shot footage is one of the treasures of Zeppelin video. Fort Worth May 22… so the critics didn’t like it… but yours truly did! I wasn’t there, but I wore out the old bootleg Duckwalks and Lasers, which contained a vibrant audience tape from the final hour of the show. One of the great ones, and one of the gigantic jams, with Mick Ralphs of Bad Company joining the boys for a rousing rampage thru It’ll Be Me. A couple of nice photos from May 25 can be found in the Cap Centre entry as well. 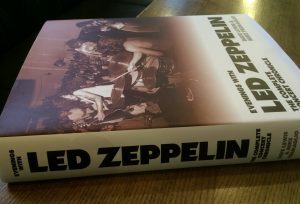 Tampa June 3, one of the disasters… the boys were only onstage for a few numbers before violent thunderstorms rolled in… but the scene did create some rather vivid Terry O’Neill shot images of the band onstage against darkening skies in the background, some of them chronicled in the recent excellent book Led Zeppelin Live 1975-1977. MSG 77… lots of great photos abound… of course the sections on these and the L.A. Forum shows are essential. It’s astonishing, the disregard that some of these reviewers had for John Paul Jones and John Bonham… It just shows how ridiculous critics can be sometimes. 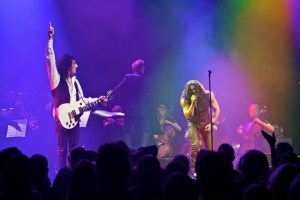 A shockingly good review of June 21 at The Forum courtesy of none other than Mr. Robert Hilburn! He was back with a good review for June 23 as well! An awakening! June 22 is one of the underrated classics. This show contains quite possibly the greatest and most tight but loose versions of Dying Time (Dave- some fans may not get the joke) and Over The Hills of all time! Hearing is believing! Despite whatever was going on behind the scenes, the June 1977 stints at both Madison Square Garden and The Forum are among the great high points in the band’s touring history. The Seattle show and video are of course one of the hallmarks. Unfortunately the gig wasn’t one of the great ones, but until we get either the Pontiac or Houston Summit video, it will have to do! 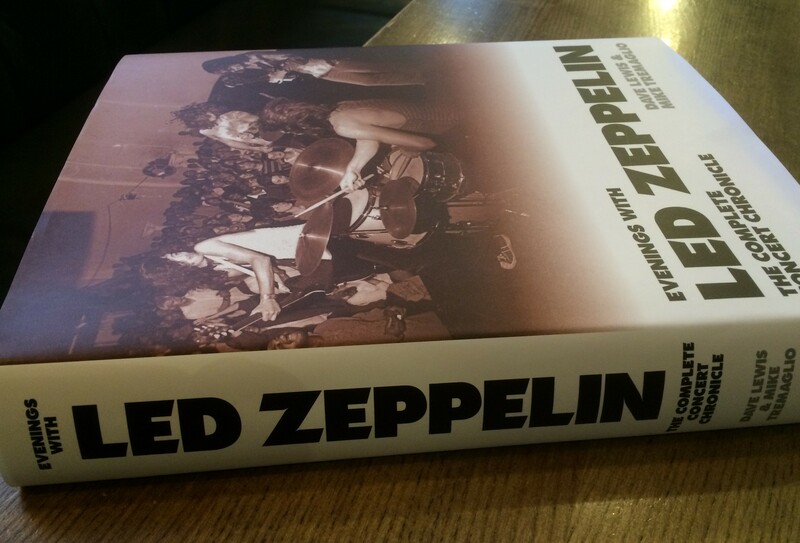 The Tempe disaster… reviewer Greg Crowder of the Summer State Press diplomatically offered that “Jimmy Page appeared to have a severe case of ‘road fever.’” Although he went on to be a bit more pointed about some of the other problems on the evening. Reviewer Phil Elwood of the San Francisco Chronicle proves to be one of the only scribes ever to note that John Paul Jones was executing the bass lines with his feet while simultaneously playing the keys, well done. 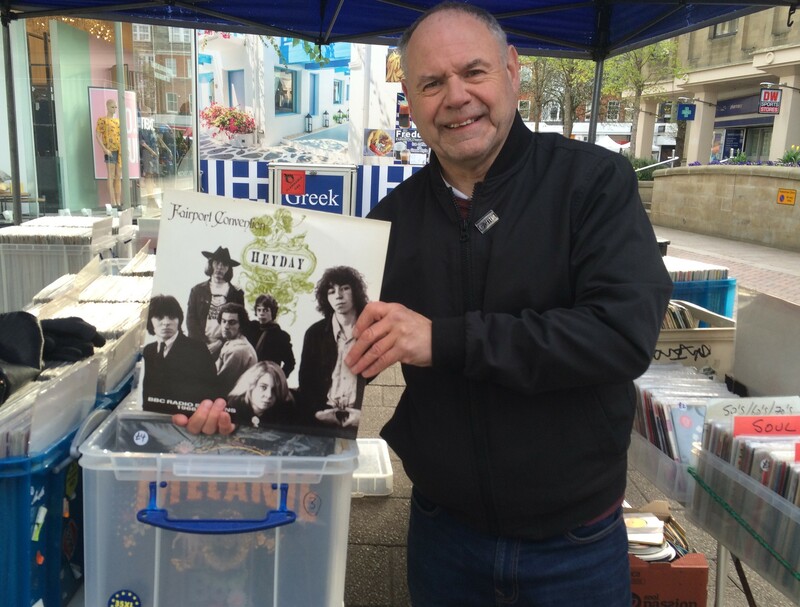 Friday treats at the Vinyl Barn: At the always excellent Vinyl Barn last Friday, I was well pleased to find a copy of the Fairport Convention album Heyday – BBC Radio Sessions 1968 -1969. This is a great collection and amongst songs by Bob Dylan, Joni Mitchell and Leonard Cohen, there’s a great version of The Everly Brothers Gone,Gone Gone – later to be covered by Robert Plant on the Raising Sand album with Alison Krauss and more recently performed live with Saving Grace. Thanks Darren! and perhaps one or two others! Great to see the new Tottenham Hotspur ground up and running – Robert Plan’s son Logan was in attendee at the launch – his Beavertown brewery is one of the beer suppliers at the ground. Located in the South East corner of the stadium alongside The Market Place, the Microbrewery recently completed its first successful brew of Beavertown Neck Oil. The state-of-the-art Microbrewery is the only one of its kind inside a football stadium and will be the primary source of craft beer at Tottenham Hotspur Stadium. Led by Head Brewer Valeria De Petris, the Microbrewery is expected to produce over one million pints per year. Busy here on TBL 45, preparation for the August 4 Knebworth 40th anniversary TBL event (tickets on sale now!) plus a couple of other projects that have come in – more details of which soon. Hi Dave, Today on RSD I was lucky enough to get my hands on a copy of “Fate Of Nations”. Very nice matte cover and inside some frightening photo’s of the world we’re destroying. and no. 2 on my want list Captain Beefheart – “Trout Mask Replica”. In the end a very well spent day. The Fate Of Nations RSD 2019 is a thing of beauty. Gorgeous matt sleeve (make sure you have clean hands folks !) and inner-sleeve/labels are different to the ’93 release. Pleasantly surprised to find the 180g vinyl was NOT warped! A good purchase, my store had 2 copies but 20 of the Madonna one. Hello Dave, travelling south from Scotland to our now annual pilgrimage to Ramblin’ Man Fair in Kent ,the weekend of July 19th-22nd.Detour planned on the way home via Knebworth .40 Years Gone !Would have loved to have been there on the actual date,August 4th,and attended your shindig,but needs must.